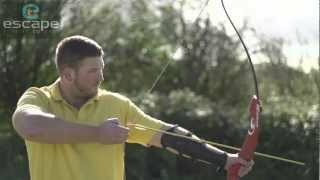 Before football there was archery! Yes guys this was once our national sport until someone thought of inflating a pig’s bladder and chasing it around a field. Archery remains a popular activity in the UK and at our Edinburgh activity centre you will get the chance to try out this ancient sport and see if you'd have been much help at the battle of Agincourt!